Home » News » Innovation – Should Agriculture ‘Milk’ the Benefits Too? Innovation – Should Agriculture ‘Milk’ the Benefits Too? By just browsing the ‘innovation’ segment of any news website one may feel bombarded with headlines about digital disruption, coding, technology start-ups and Silicon Valley. Begging the question, where do less (traditionally) tech-savvy industries stand as Australia embarks on an innovation journey? 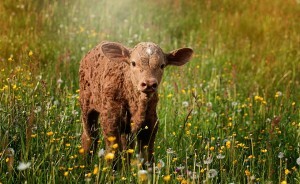 Agriculture, in particular, could largely benefit from a ‘beefing’ up of innovation. Despite posing as somewhat of a benchwarmer for the last decade as the resource sector flourished, agriculture has recently revived as an export earner as the dollar dwindles and free-trade makes the markets more accessible. For example, last year Australian livestock products were shipped to 150 different countries. According to Dr Barnard, the General Manager of Trade and Economic Services for Meat and Livestock Australia, Australia is competitive on a farm level due to having the best practices. However, this highlights a need for Australia to focus on how to stay ahead in a globally competitive market. On this note, livestock industries need a restoration of investing in the technologies and systems that will accelerate future growth. Dr Barnard noted that when it comes to processing cattle, Australian costs are 2.4 times higher than the United States, 3.0 times higher than Brazil, and 1.5 times higher than New Zealand. Hence, competitiveness is being eradicated by high costs built into the processing sector. Certainly, utilising research and development to create innovative solutions to lower costs in agriculture will be essential if Australia wants to boost its competitiveness against the world. However, rather than doing this state-by-state, WA chief scientist Professor Peter Klinken believes the agriculture industry must work as a team. Notably, collaboration in future research and development (R&D) could aid the agriculture sector in sidestepping the solidarity exemplified by Australia’s energy, health, and marine sectors. In specific, Professor Klinken states, “if you work together you’re a lot more secure and can be seen from the distance.” He lists decreasing rainfall, increasing salinity, increasing soil acidification, herbicide resistance and potential biosecurity risks among the areas R&D needs to be working within. As can be seen from the above, innovation in terms of R&D could largely benefit the agriculture sector – particularly in regards to global competitiveness, lowering processing costs and future environment considerations. Despite not traditionally being observed as a digital industry, the agriculture sector could still advantage from Turnbull’s mission to transform Australia into a more innovative and collaborative society. 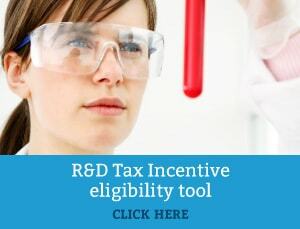 Moreover, the government currently provides generous tax savings for eligible R&D activities under the R&D Tax Incentive. Swanson Reed provides specialist expertise transversely to a broad range of industries and has assisted many clients attain tax cash savings under the R&D regime. Contact one of our specialist R&D Tax consultants to find out more about the scheme.